Off The Grid is a local organization that brings together people and food by finding empty spaces and filling them with some of the best food vendors around. 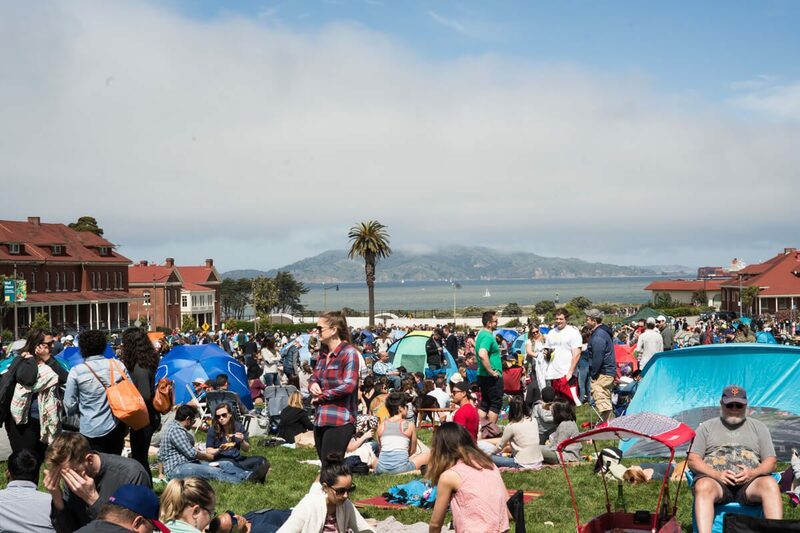 We recently went to the opening day of their Presidio Picnic, which was fabulous, so we decided to check out the Friday Night Off The Grid: Fort Mason Center. 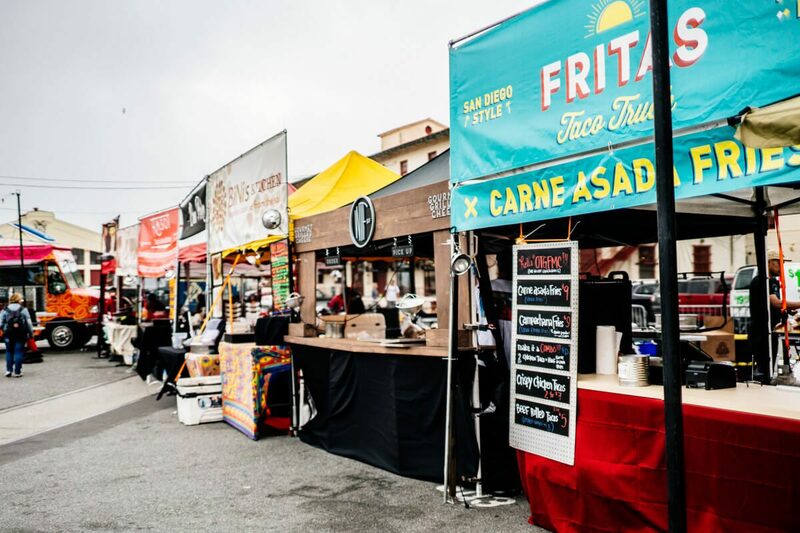 Off the Grid: Fort Mason Center brings together food trucks and other vendors to give you a huge selection of food in a really convenient spot. 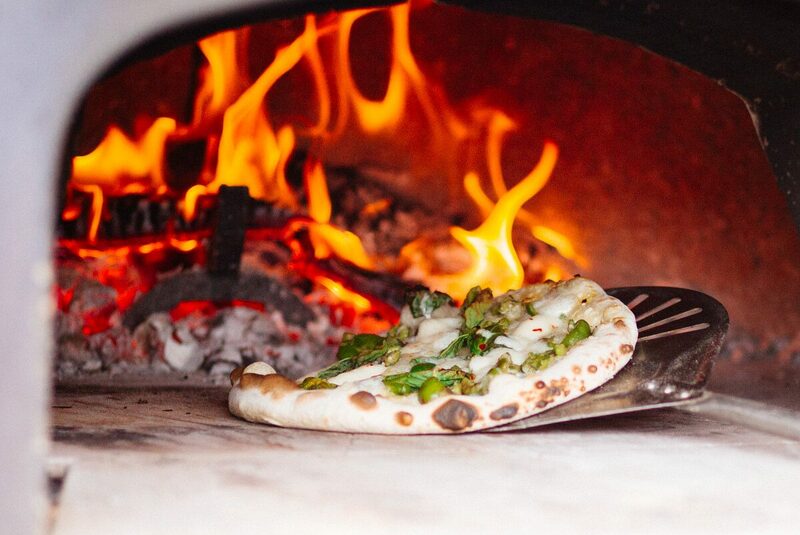 From wood-fired pizzas, cocktails, tacos, and doughnuts, they truly have it all. Not only is there great food, but they have live bands playing into the night. We got in a little early for a behind the scenes look at a few of the many food options. Andrew Alcantara, owner of Frita’s Taco Shop shared with us his San Diego style Mexican food. We tried the rolled tacos and the carne asada fries. Bombzies BBQ was grilling up a storm with all of this chicken. They originally started with a Weber grill but have since moved on to these serious grills. 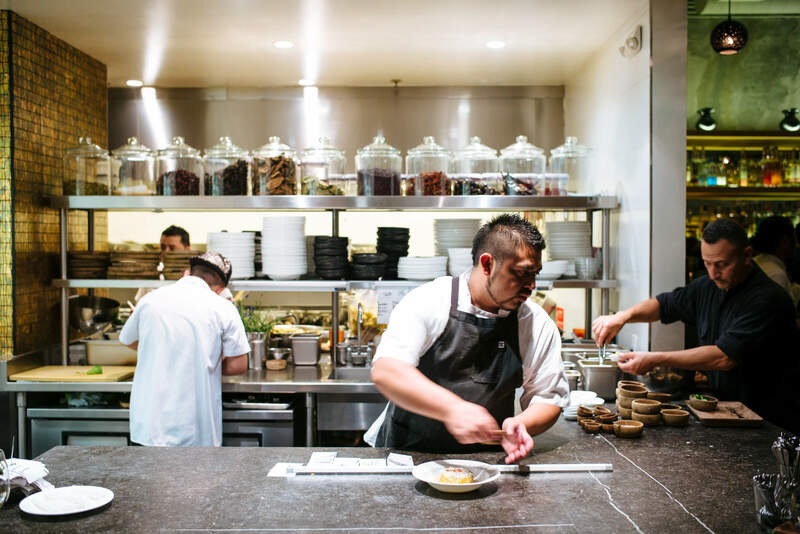 A16 has southern Italian food covered at Fort Mason Center. They offer wood-fired pizzas to order, their famous meatballs (see recipe here), and cannoli. Chef Rocky Maselli from A16 Rockridge shared his pizza making process. 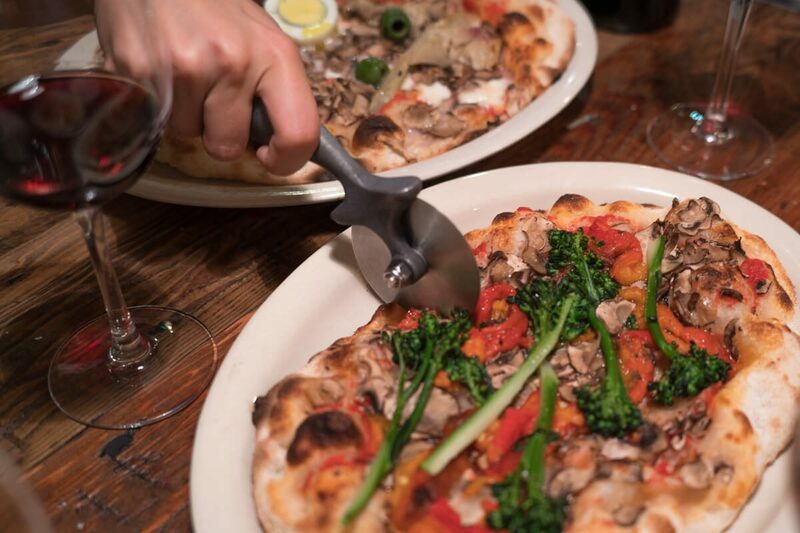 Check out our post on A16 Rockridge and Franco Pepe’s visit here. We also tried an amazing sandwich from What’s The Feast?! San Francisco, which was new to Off the Grid: Fort Mason Center the day we visited. We finished off the night tasting Johnny Doughnuts. Not only do they have delicious doughnuts, but they also have a beautiful La Marzocco machine so you can warm up with an espresso. We hear that this is a place to hit early to avoid the lines, which can grow to 45 minutes long, but trust us, they are worth it. Johnny doughnuts, based in San Rafael, are hand crafted and based off a 1920s recipe that uses mashed potatoes in the dough. Owner Craig Blum shared that the doughnuts are hand made, including the potato mashing. Also, good news: they will be opening a brick and mortar store in Hayes Valley soon! And they have gluten free and vegan options. We decided to take this crodough home for dessert. Rather than potato, crodoughs are made with laminated dough (like croissants) and topped with chocolate. What we would recommend is get a few extra, bring them home, and make a late-night snack. When we lived in Chicago, we used to walk down to Firecakes on a hot summer night to get ourselves a ice cream doughnut sandwich. This inspired us to bring home a crodough and one for ourselves. It was the perfect late-night snack! Take your ice cream out of the freezer and let it slightly soften. Use a bread knife to cut a crodough in half. Add ice cream to the bottom cut and top it with the other half of your crodough. Serve in brown parchment paper.